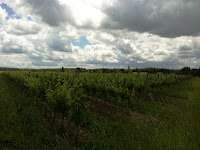 The weather here in Bordeaux has been extremely erratic over the last week and today was no different. 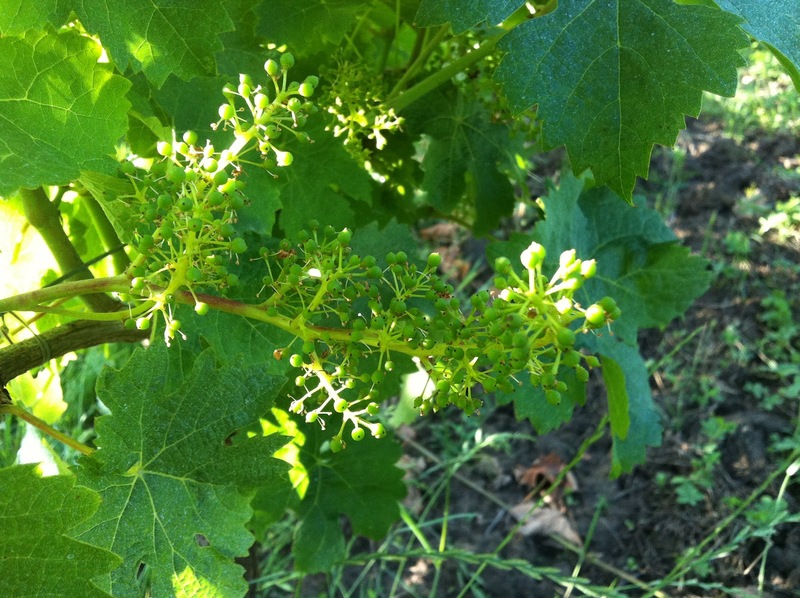 The temperature kept rising and falling strangely throughout the day, storms, thunder, hot sunshine, drizzle, more sunshine, wind, drizzle and crisp sunshine by the end of the day: not ideal for the start of flowering. With this weather continuing it is more than likely that they will be ‘coulure’ (bad fruit set) resulting in low yields. However if the summer turns around like in 2011 fingers crossed the low yields will be turned into high-quality wine. This afternoon I was out in the Entre-Deux-Mers again, this time looking for Châtaeau Touginas near the tiny village of Coirac, yet again a place in Bordeaux I had never heard of. 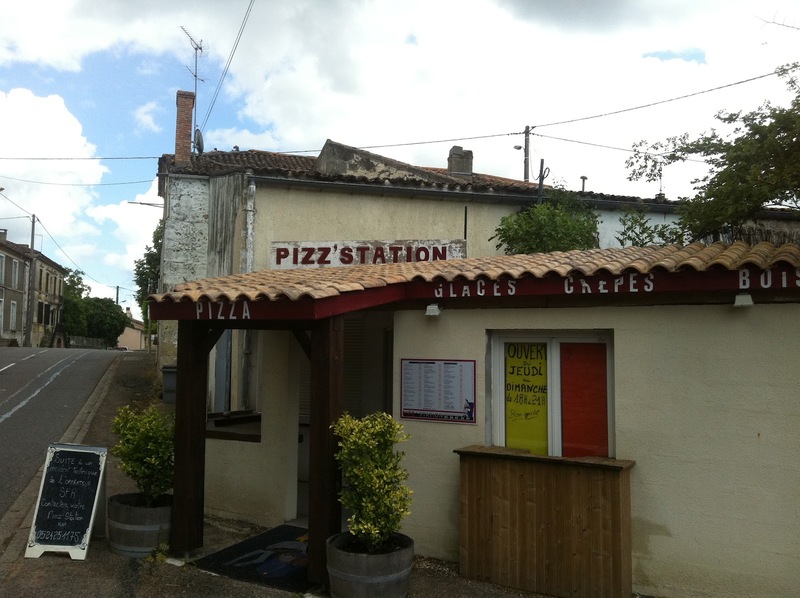 The village is south-west of the Le Chai and roughly 30kms away. The drive out, however, saw at least five weather patterns and quite a bizarre drive was had: wipers on, wipers off, sun roof open, sun roof closed, windows down, windows up, sunglasses on, air con on, jumper off, air con off, coat on, wipers on, sunglasses off………! 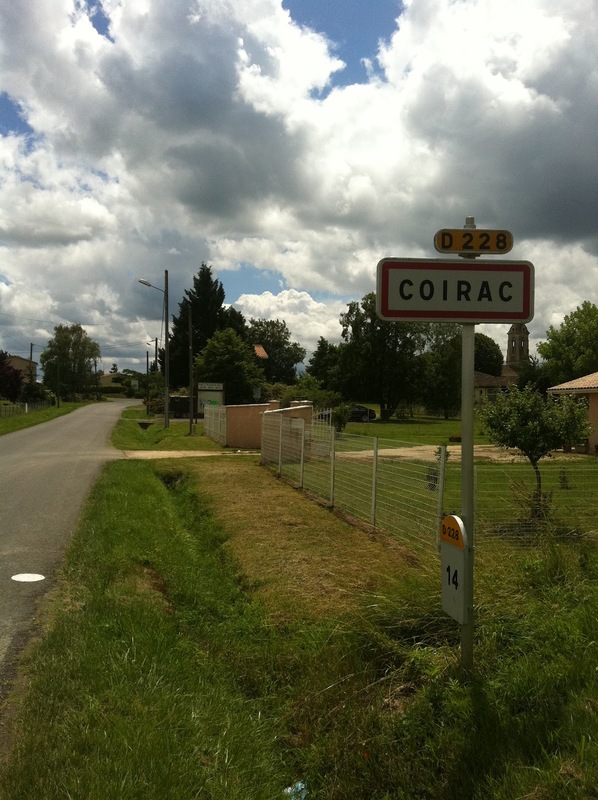 The village of Coirac is very pretty and sits on a little raised clay-limestone plateau. Château Touginas lies just outside of the village towards Gornac. Both Coirac and Gornac are stunningly typical examples of the Entre-Deux-Mer’s ancient villages. By the time I arrived it was blowing a gale but this is obviously not a new thing as fortified windmills were once very common and can be still seen standing in Gornac. These little villages, which now have around only 200 inhabitants, have a fascinating history and Roman remains including cellars can still be found, as can a lovely named pizza restaurant the PIZZ STATION!!! Château Touginas is a third generation winemaking family and I was met by Olivier Guilhon who had obviously been in a wet vineyard tucking in shoots: I recognised the classic soaking-wet clothes on the front of him and the bone dry clothes on his back as he turned around! With his brother he works 20ha of mainly Merlot, some Cabernets and a little Sauvignon Blanc. 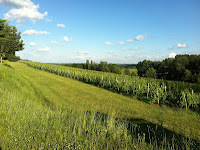 The reds are really lovely and I was here to prepare the Gold medal-winning 2010 for bottling. The Merlot has another very unique style from the micro climate, very fresh blackcurrant aromas and incredibly soft, almost creamy tannins. The wine has been patiently sitting in vat for seven months and the sediment has settled beautifully so no need for filtration and will be in bottle on the 3rd of July. It’s going to be a perfect red wine for the summer and I reckon if slightly chilled it will be a BBQ winner.